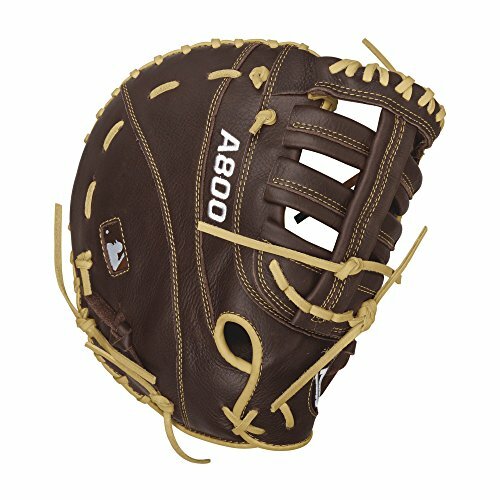 The Showtime A800 12.5" Baseball Glove has a cool, old-school look with its dark brown and blonde leather. It also features double palm construction and a low profile heel so grounders, line drives, and fly balls don't stand a chance. There's no long winter break-in or sore knuckles punching the leather. The Showtime will be ready when you are. 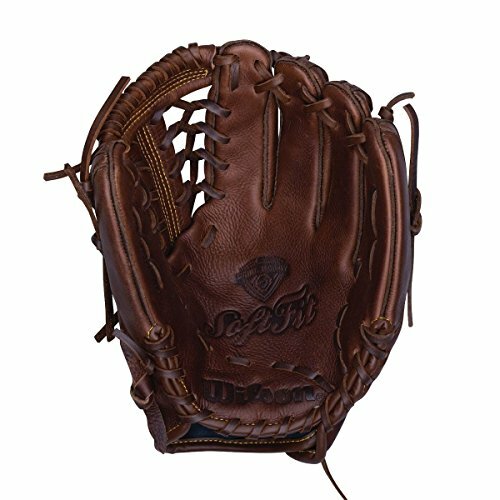 The Showtime A800 12" First Base Mitt has a cool, old-school look with its dark brown and blonde leather. It also features double palm construction and a low profile heel so grounders, line drives, and fly balls don't stand a chance. There's no long winter break-in or sore knuckles punching the leather. The Showtime will be ready when you are. 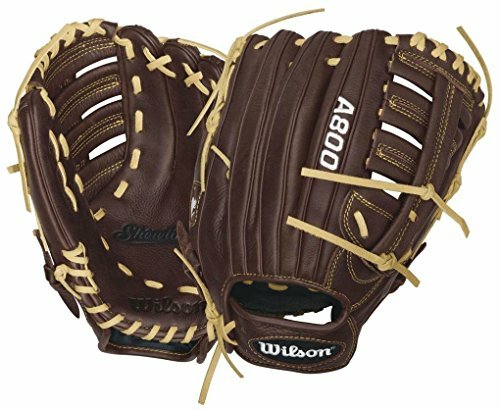 Wilson A800 Showtime 11.5" Baseball Glove Broken In And Ready To Go Wilson A800 Showtime baseball gloves have a cool, old-school look with their dark brown and blonde leather. 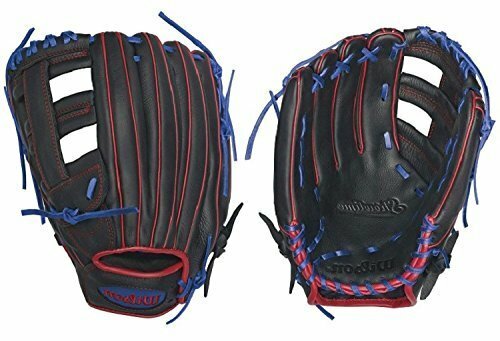 Even better, grounders, line drives and fly balls don't stand a chance with a glove that's ready on Day One. There's no long winter break in or sore knuckles punching the leather. The Showtime will be ready when you are. 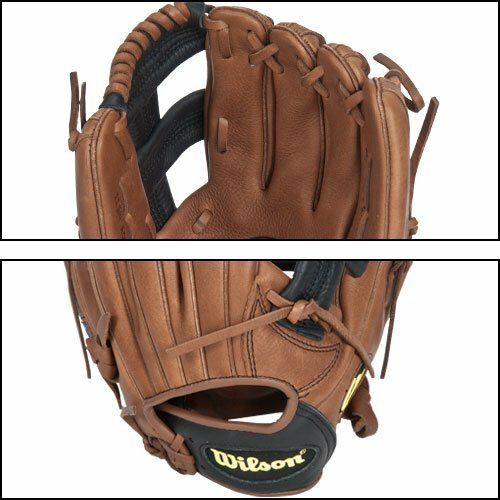 Wilson A800 Showtime 11.5" Baseball Gloves feature: Full Leather Construction: leather shell, laces, and palm liner Pedroia Fit: snug fit, long laces, smaller hand opening and low profile heel Low profile heel makes it more forgiving on bad hops Double Palm ConstructionTM to reinforce the pocket Dual WeltingTM for a durable pocket Open back 1-Year Warranty Wilson The Official Ball Glove Of Major League Baseball Color: Brown/Blonde. Gender: Unisex. Age Group: Adult. Material: Full Leather. Grounders, line drives and fly balls don't stand a chance with a glove that's ready on day one. 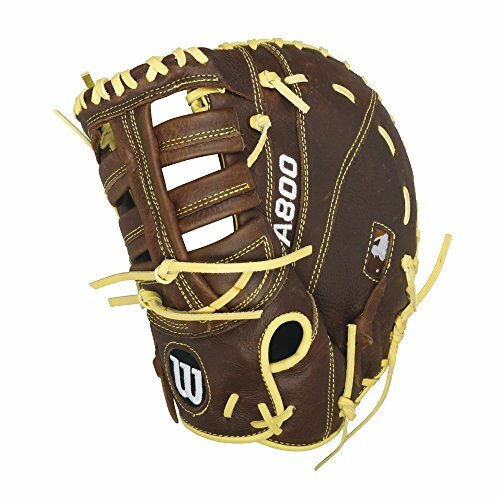 The Wilson A800 Aura Fast pitch Softball 12.5in Outfield Glove makes sure there is no long winter break in required, or sore knuckles punching the leather. It even looks good on the diamond with its white, black, and teal styling. 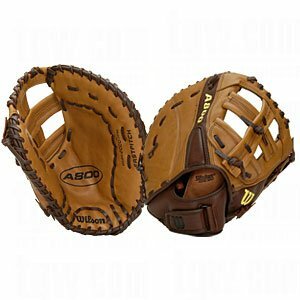 The A800 Aura Fast pitch Glove also features full leather construction, rolled dual welting, and double palm construction. Grounders, line drives and fly balls don't stand a chance with a glove that's ready on day one. 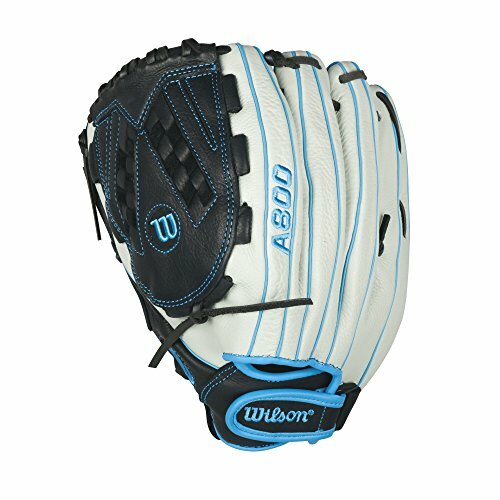 The Wilson A800 Aura Fast pitch Softball 12in Pitcher/IF Glove makes sure there is no long winter break in required, or sore knuckles punching the leather. It even looks good on the diamond with its white, black, and teal styling. The A800 Aura Fast pitch Glove also features full leather construction, rolled dual welting, and double palm construction. 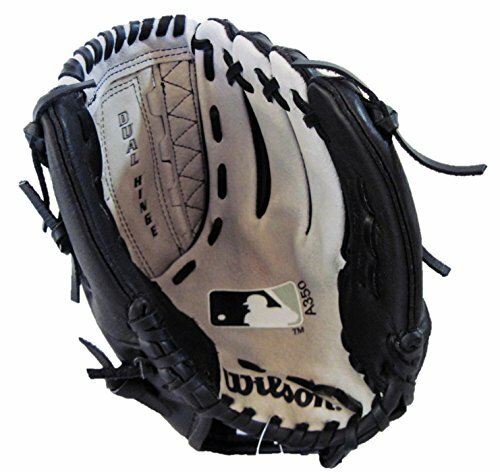 http://www.homerunmonkey.com - Looking for a new Wilson baseball glove? Let this easy guide help you out with tips for size and glove type. 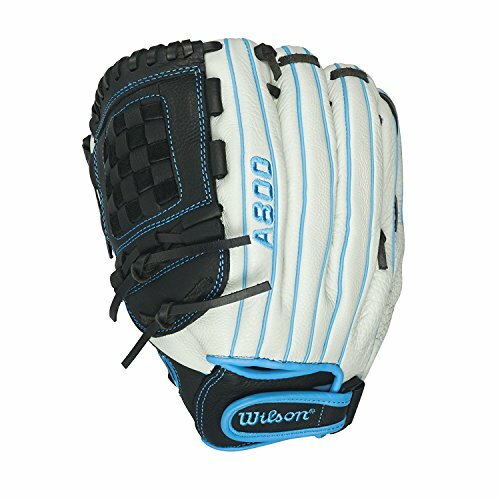 Compare prices on A800 Wilson Glove at ShoppinGent.com – use promo codes and coupons for best offers and deals. Start smart buying with ShoppinGent.com right now and choose your golden price on every purchase.